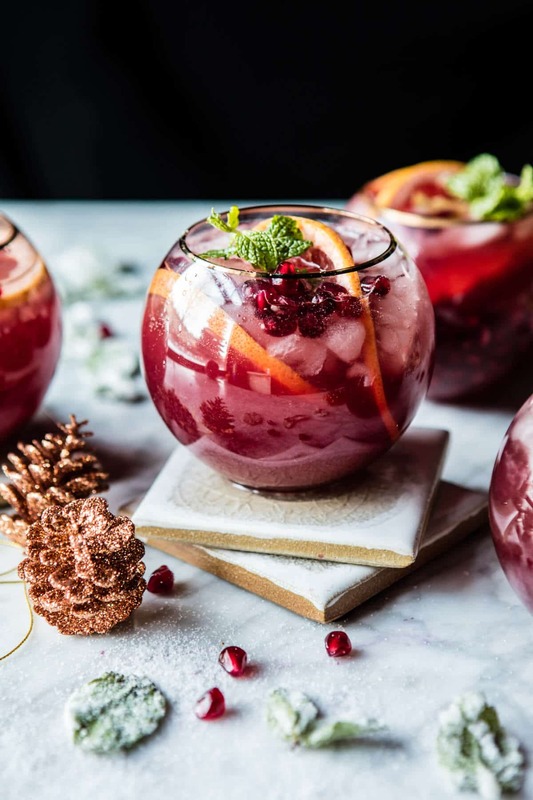 Cocktails make any occasion that much more fun, and this holiday season, we’re dying to try the 7 festive Christmas cocktails we rounded up below. 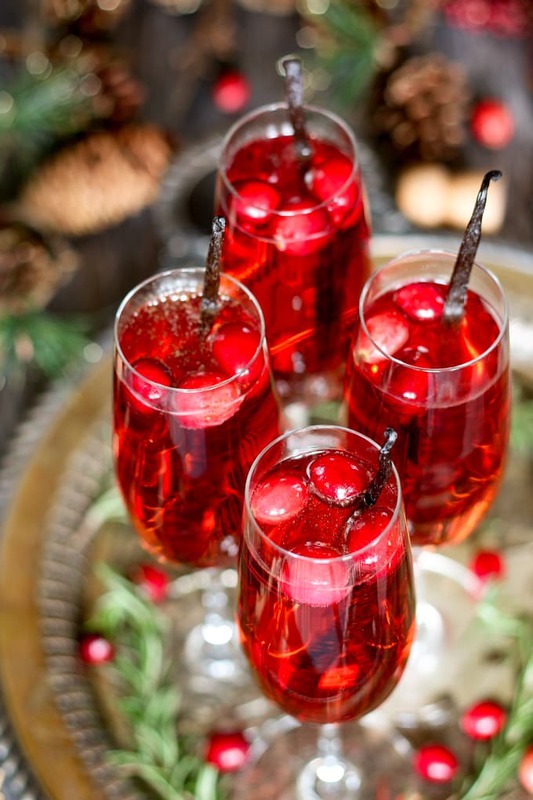 All with tasty ingredients and a dash of Christmas spirit, we have a feeling you’ll put all these cocktails on your Christmas list, too! Take a look at the list below for more details. This three ingredient drink is easy to make and beautiful, too! Find the recipe at Honey and Birch. This cocktail includes strong flavors such as mint, ginger, and pomegranate and grapefruit juice. Find the recipe at Half Baked Harvest. 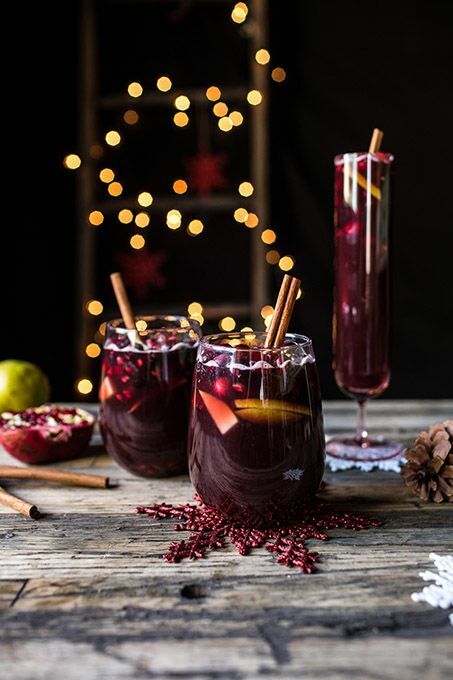 This Christmas Sangria has a fun kick to it — apple cider! Find the recipe at Tablespoon. 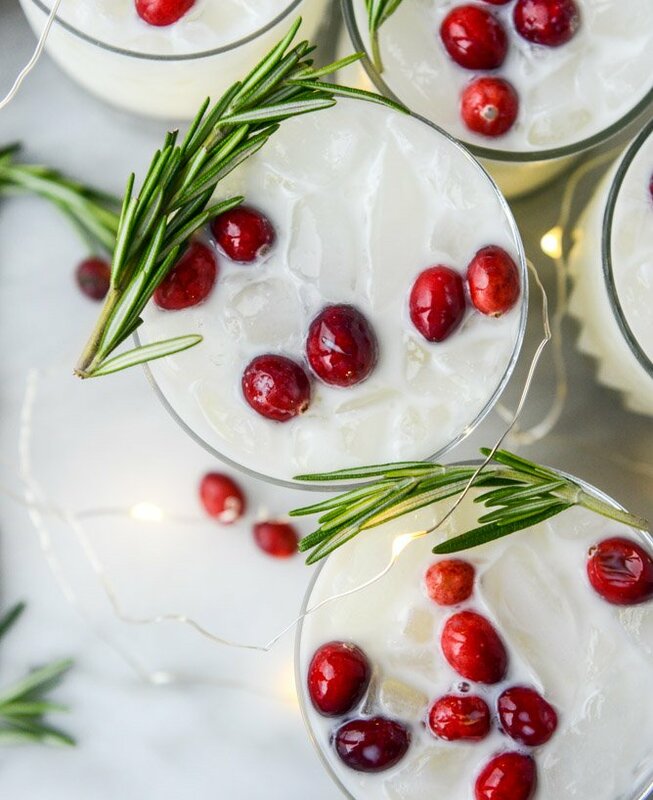 This is actually a coconut flavored margarita topped with cranberries and rosemary. 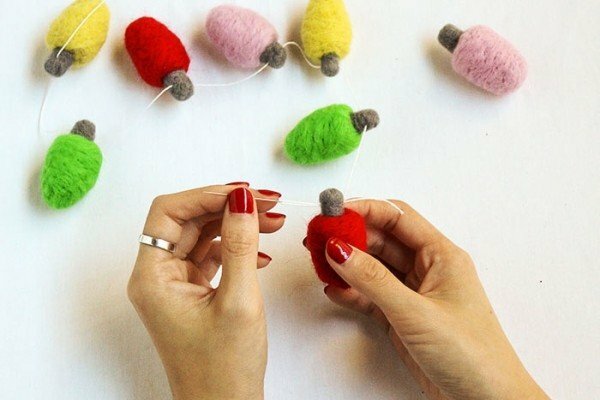 Perfect for a tropical Christmas treat. Find the recipe at How Sweet Eats. 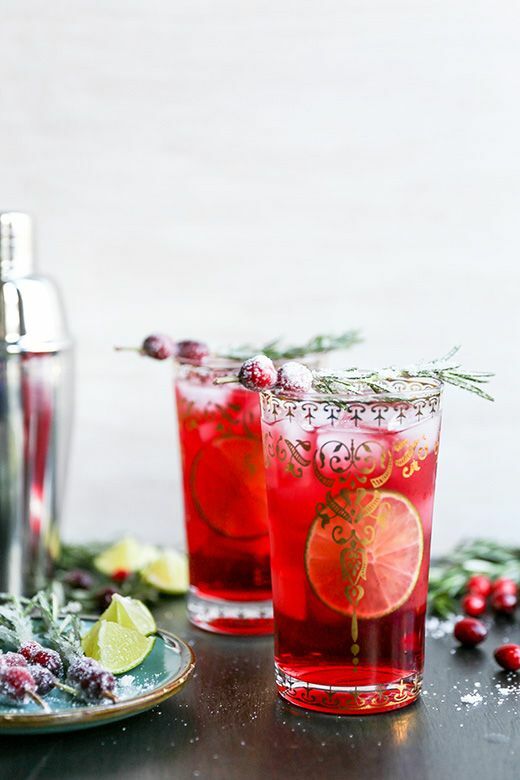 This cocktail primarily consists of gin, cranberry juice, and club soda. And sugar dusted rosemary sprigs and cranberries make it extra festive! Find the recipe at Floating Kitchen. This minty version of a classic Moscow mule looks perfect for christmas! Find the recipe at Freutcake. This snowball cocktail consists of Warninks Advocaat, lime juice, and lemonade or soda. Find the recipe at Charlotte’s Lively Kitchen. Which cocktail would you most like to try? 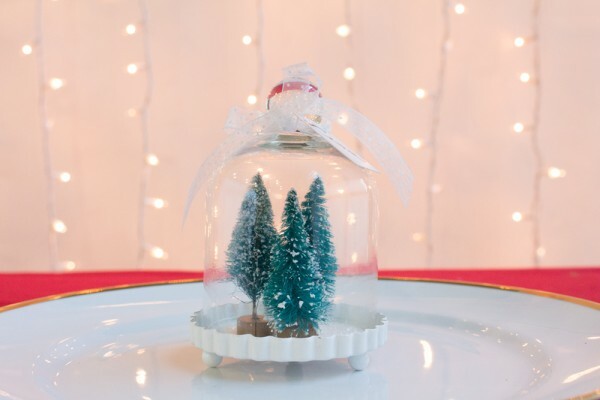 Be sure to let us know with a comment below and don’t forget to grab personalized Christmas drinkware to sip on your cocktails.